15+ Seeds. 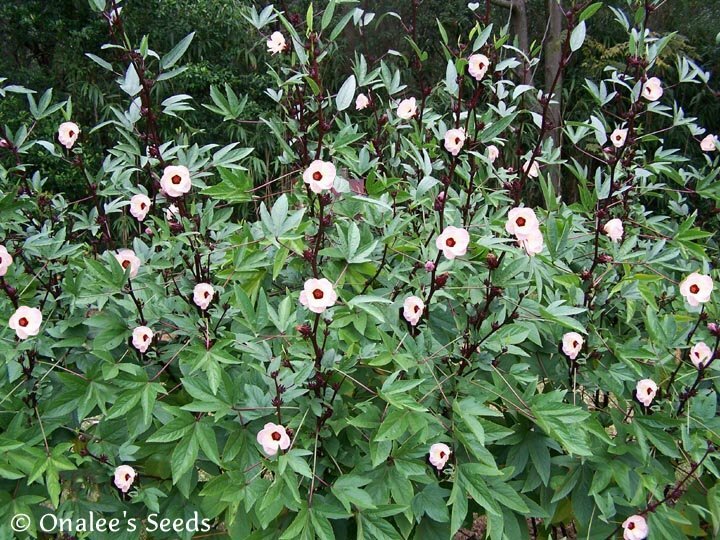 Roselle is a beautiful plant in the home landscape with deep green leaves that contrast WONDERFULLY with deep red stems. Fifty years ago it was widely grown in Florida as a summertime hedge and for its edible calyces and, after growing it, I can't understand why it still isn't more widely grown! I found it to be a very easy to grow, pest free, carefree plant and the flowers are a rare treat in October and November. 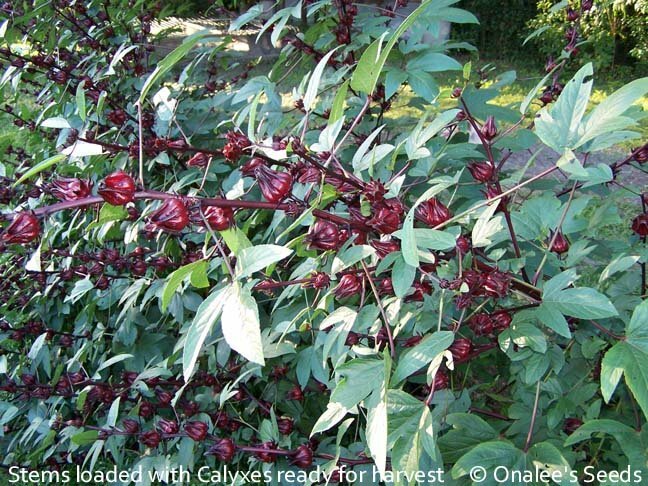 15+ Seeds for Roselle Hibiscus (AKA: Florida Cranberry, Indian Sorrel, Jamaican Sorrel, Rosella, Queensland Jam Plant) Hibiscus sabdariffa. Larger quantities available at a discount. Use the drop-down box next to the order button to select pack size. Roselle is a WONDERFUL plant in the home landscape and one that I am truly impressed with for it's ease of care and beauty. Fifty years ago it was widely grown in Florida as a summertime hedge and for its edible calyces and I don't know why it still isn't! The dark green leaves contrast nicely with the red stems and petioles, making it a beautiful specimen even before it starts to bloom. In the fall the plants EXPLODE with flowers that start the day yellow with a light blush of pink and end the day as a dark, dusty rose color. Although each flower is only about 3 across and lasts only a day, they bushes are covered in new flowers each day. Just when other plants are starting to fade, these really liven the landscape during the fall! The edible calyces (fruits) are a bonus! Roselle are used to make juices, sauces, jellies, wines and pies. Seeds can be planted outdoors in USDA zones 8-11. Farther north (to zone 6), start seeds indoors and transplant outside after all danger of frost. 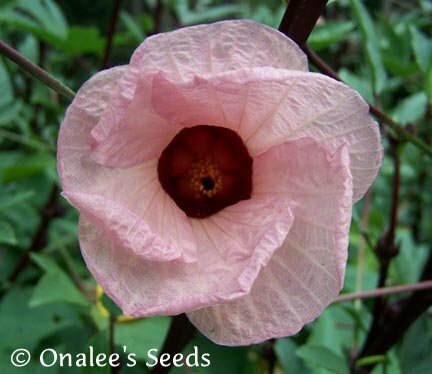 Roselle can be a short-lived perennial in zones 10 and 11 otherwise it is grown as an annual. Full Sun. Roselle History - Purdue Univ.